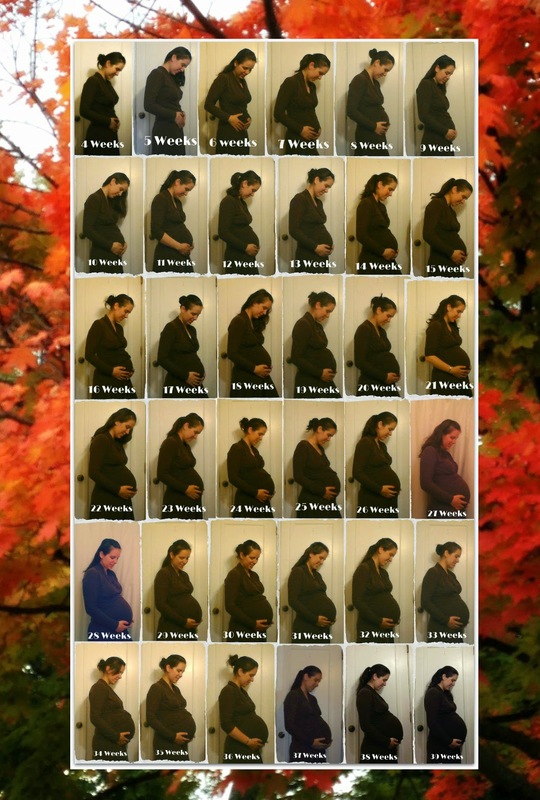 Someday I'll Sleep Autism Blogs: 39 Weeks... A Pregnancy in Pictures! It seems strange to say that the day after tomorrow we'll be holding our new little guy in our arms. I thought, because the baby's arrival is so close, that I would sit down and put the pictures I snapped together into their week by week order. A few times they were off by a little bit, but for the most part I tried to faithfully take a picture each week! At the moment baby is still breech, although he definitely feels lower each day. I can hardly wait to meet this little guy! So jealous! I'm still waiting here. I will be praying for you and Baby James for a safe safe delivery and for both of you to be healthy! He's almost here! How exciting! I'll be praying for you that all will go very well. Prayers for a smooth delivery! !